Major media outlets aren’t exclusive to major-label sounds anymore, but it’s still not typical for those sites to bet on brand-new or largely unheard-of artists and bands – no matter how compelling their music may be. 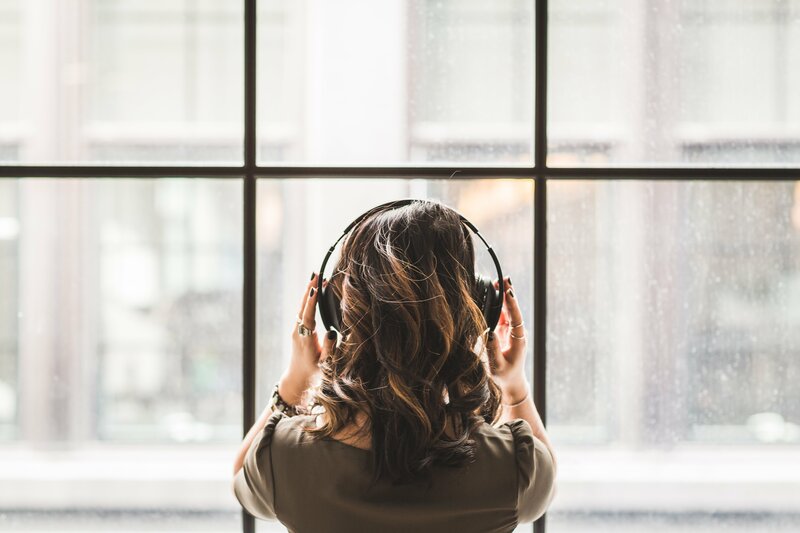 And while playlist culture and social media have become integral to music discovery, dedicated music lovers are still looking to independent music blogs as guides through uncharted sonic territory. Blogs are still touting vast readerships and breaking emerging artists – and the best of them are undoubtedly being read by writers and editors of those powerhouse music sites, too. We’ve rounded up seven blogs that are both consistent in churning out stellar content and remain open to receiving submissions from independent artists and bands. Genre-wise, there’s a bit of everything here, and within each site there’s often multiple ways to get featured – good luck! Now in its fifth year, The Grey Estates is officially a tried-and-true indie music blog, having virtually never faltered in frequency or quality of content, and never wavering from the mission to bring the best bands and artists to the front, regardless of where they stand on the spectrum of existing listenership and following. Through podcasts, guest playlists, Q&As, premieres, and more, TGE trumpets the most compelling sounds of indie – those that have already earned support from better-known indie labels get spotlighted as often as those exciting on micro-labels or self-releasing their own work. Founder Lauren Rearick’s commitment to the latter is what makes the blog a great one for discovery – and, for the bands and artists featured, one with the promise of being discovered by its dedicated readership. Best for: Rock, pop, electronic, and everything indie in between. How to pitch: Send your stuff over to thegreyestates@gmail.com. A loyalty to goodness is central to The Alternative’s mission: Four years ago, it was “created to be the music site that we wanted to exist,” according to its own manifesto, in which the team also expresses an anti-hate ethos. The Alternative is particularly partial to giving generally unheard-of bands and artists their due; another crucial aspect of their mission is promoting only music they truly believe in. Best for: Independent music of all genres. How to pitch: For consideration, email TheAltSubmissions@gmail.com. Reviews, Q&As, and all other forms of coverage are crafted with care at The Revue, a Canada-made blog whose staff has expanded from Ottawa to include writers and photographers based all around the world – and so the content is especially global. Taking into consideration the scene in which a band or artist developed, looking to subtle lyrical cues for insight into a song’s significance, thoughtful comparisons to established artists that, rather than reading general or arbitrary, actually help build context for the reader before they listen – these methods are all characteristic of the way The Revue’s writers approach presenting their music they love. Best for: All indie styles, including (and maybe with special emphasis on) artists hailing from outside the US. How to pitch: You can send music via SubmitHub here, or check out this page for guidelines for submitting music directly. Mark Schoneveld was blogging during the medium’s heyday 10 years back, before social media exploded, making music sharing drastically more convenient on its platforms and rendering blogs, particularly ones that didn’t offer something extra beyond mp3 posting, somewhat obsolete. Yet the YVNYL Tumblr – without using Facebook, by the way – still feels necessary: First of all, Schoneveld has a spectacular ear for great music, which serves him well in sorting through the endless sea of streamable sounds and deluge of submissions he regularly receives. Whether a reblog or an original post (premieres included), whatever is shared on YVNYL feels hand-picked and carefully curated – despite the overwhelming amount of available music. And in the Letters to YVYNYL section, followers get something special that’s not found elsewhere: Personal stories from musicians and fans about the music they’re making or listening to, some of them deeply intimate and emotionally open. It’s made especially clear in those letters why YVYNYL has remained relevant: Schoneveld doesn’t prioritize traffic (though he gets plenty), but instead maintains the power of music – its potential for catharsis or transformation, its role as a community builder – as the blog’s driving force. Best for: Undiscovered indie of all styles. How to pitch: Detailed info on how (and what) to send is available here. Be sure to check the specs for Letters to YVYNYL, too. Existing on the outskirts of contemporary country, this site is focused on bringing the genre’s alternative sounds to light – styles that are generally truer to the original sound, but long exiled from the pop-minded mainstream industry. Interconnected genres like blues, Americana, and folk are also included in coverage on Twangville, which was founded back in 2005. There are more than a few ways that artists are featured: through festival coverage, (almost) daily playlists, readers’ picks, and, of course, reviews. Best for: Alt-country, Americana, folk, blues. How to pitch: You can find the appropriate email address and corresponding info here. It’s only been two years since Somewhere Soul launched, but already, its devotion to soulful sounds has proved indispensable: There simply aren’t that many sites tuned in specifically to these emerging artists and bands (and few are as nicely formatted or thoughtful about visuals, either). Whether it’s bossa-nova grooves, mellow Neo Soul, or jazzy electronic explorations, you’ll find an eclectic trove of up-and-comers hailing from just about anywhere at Somewhere Soul. Best for: Jazz, funk, hip-hop, soul, R&B, disco. How to pitch: To have your music considered, contact josh@somewheresoul.com. While electronic pop gets plenty of coverage from all levels of media outlets, EQ Music is quite specific in its mission to make discoveries possible. Its qualifications as a tastemaking, influential blog are much deserved, earned through breaking early on names like Charli XCX and Dragonette alongside coverage of genre stalwarts. A section exclusively for burgeoning artists is where promising up-and-comers are featured, and filling it with the global best of that crop remains central to EQ Music’s purpose. How to pitch: Send your music to eq@eqmusicblog.com.